ST. LOUIS — One of the best things about sports is that things rarely go as planned. It's the kind of thing that makes me tip my cap to the bookies and gamblers who try to play predictor with such a game; one stuffed with human error, chance, and unexpected adversity. Entering Thursday's game against the Los Angeles Dodgers, it would be a wise play for a St. Louis Cardinals fan to be complacent with a series win. After all, the Dodgers came into St. Louis riding high, carrying a record of 8-2. The defending National League Champions were looking to push the problematic Cardinals, then 5-5, around. It turns out, the Cardinals had other plans, coming back from deficits of 3-0 and 7-4 to win 11-7 on a beautiful day in downtown St. Louis. On a day where Michael Wacha allowed seven earned runs and couldn't pitch more than four innings, the bullpen pitched in, delivering five scoreless innings to seal the win. A unit that carried questions after they left Milwaukee is now a force, adding cohesive force with each victory. New arrival Tyler Webb pitched a scoreless frame while Giovanny Gallegos struck out in 1.1 innings. Andrew Miller had a rough opening week, but he struck out the side in the ninth. On a day where the slumping Paul Goldschmidt went 0-5, Jose Martinez went 4-5 and backup catcher Matt Wieters added a game-changing two-run single to give the Cardinals a lead they wouldn't give back. Harrison Bader was hit by a pitch twice, each time bringing home a run. Paul DeJong and Tyler O'Neill added two hits apiece. The Cards didn't need a single home run to top double digits on the scoreboard, which is a pleasant turn of events for a club so reliant on the long ball in the first week. One would imagine a world where Goldschmidt and Matt Carpenter aren't flirting with the Mendoza line, and what the team could do with their best hitters completely dialed in. Think about what the Cardinals have done with their best starting pitcher, the one who brought in Cy Young votes last season in Miles Mikolas, not being as sharp as he can be. They have gotten eight wins without Alex Reyes, who is back in Memphis retooling his pitches. Miller, the big bullpen offseason signing, has run into his fair share of troubles. Through it all, the team is 8-5 and handling teams like the Dodgers. This was a statement series and I'll tell you why. The Dodgers could have come into Busch and steamrolled the Birds into an early season oblivion. The Cardinals were coming off a rough series loss to the San Diego Padres and looked disjointed. And then the Cardinals hold the Dodgers to five runs and win the first three games of the series. They only invite Los Angeles into the town once a year, so this series should linger until the Cards reach the West Coast later in the season. For the first time in 2019, the Cardinals have some traction, and it came earlier than I expected. They have won five in a row and are using every inch of their roster to get the job done. After Goldschmidt went bombs away during the first seven days of the season, he has gone quiet. Dexter Fowler has struggled. Marcell Ozuna is climbing on top of walls looking for baseballs, but he's also sending them zinging off foul poles. 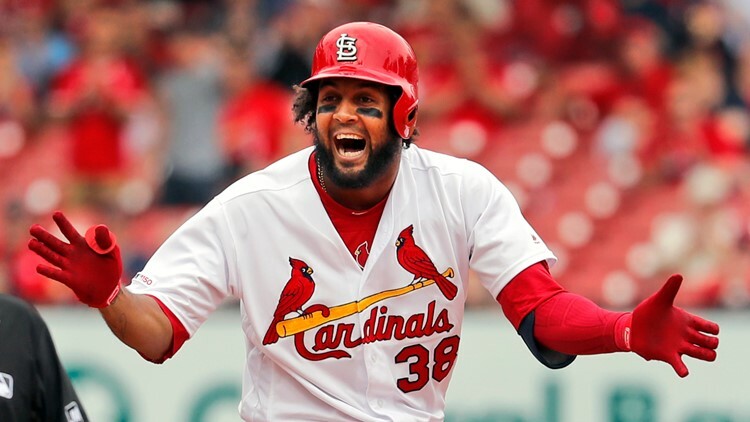 Without their best assets thriving, the Cardinals are finding a way to win. An enlightening turnaround from what the club has given fans the past three seasons. You better believe every game counts. The division is going to be decided by 3-4 games or less. It's going to be close and painful. There's no time to slow down, reset, and feel things out. There seems to be some urgency this season already. If you had asked me what needed to happen against the Dodgers this weekend, I'd have said a series split would have been great. Maintain the pace, hang in, and don't get hammered too hard in April. The first two months are all about staying near the .500 mark and trying to figure out who you need for the true stretch run. The Cardinals are ahead of that pace. They swept a team that reached the World Series last season like it was routine. Sure, they fought for it. Just look at Thursday's game. Down 3-0, 7-4, and no quit. A year ago, I don't think the Cardinals pull that off. Perhaps the Mike Shildt movement is just growing stronger and stronger. With the sweep of Los Angeles, the Cardinals are telling fans this year could be different. 149 games left. 13 games gone just like that. This should be a fun ride. Keep your seat belt on.